Want to check up on your furry friend while you are away? 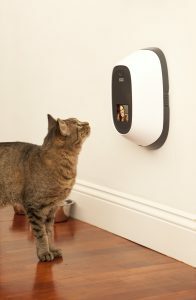 The PetChatz  is a video phone that is simply plugged into a wall outlet and works using wifi. You can even fill the chew-proof device with your pet’s favorite treat and smells (yes..really). It features the ability to record/share videos and can even alert you to sound or motion near the device. The range of tech products to keep track of a person’s heart rate, activity and even sleep patterns has grown rapidly in the past few years. So it’s no surprise that wearable tech has gone to the dogs. 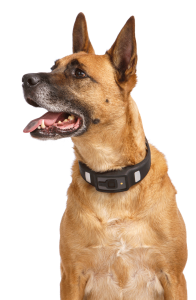 The Voyce Health Monitor is a light-weight, waterproof collar that allows you to monitor your dog’s vital signs using radio frequencies. It can also track your dog’s activity/rest periods, estimate their calories burned and more. The creators of the Voyce claim the device can help you and your vet to identify health problems before they become a serious issue. And if you’re tired of picking up your dog’s doo doo the old fashioned way…not to worry even pooper-scoopers have gone hi-tech. 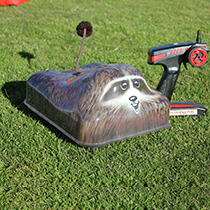 The Pooch Power Shovel lets you vacuum up your dog’s business into a biodegradable “doo doo bag” for disposal. It weighs just over 4 pounds and its battery will last months for the average dog owner, before needing to be recharged.